A state-of-the-art research centre dedicated to advancing the learning process opened today at the University of Calgary. The new Taylor Institute for Teaching and Learning realizes the university’s vision to be a world-leader in research and development of innovative learning experiences across a wide spectrum of academic disciplines. The facility was made possible by a $40-million gift from the Taylor Family Foundation. This highly versatile, technology-rich ‘incubator’ is designed to inspire new approaches to collaborative learning, enhanced by the creative use of learning technologies, flexible spaces and furnishings. 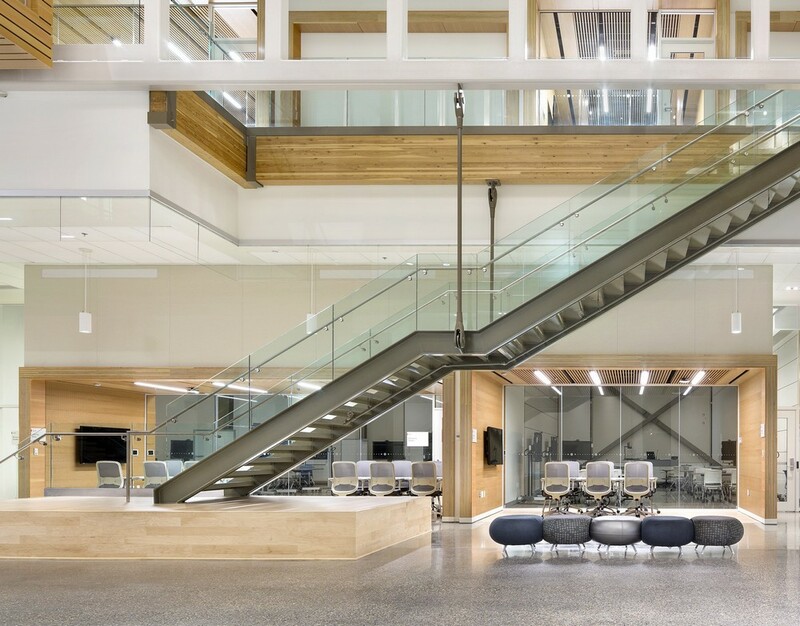 The facility is reconfigurable day-to-day, based on the evolving needs of students, teachers and researchers. “This building offers an extraordinary range of diverse spaces that promote a variety of uses all centered around an interactive public spine,” said Donald Schmitt, Principal, Diamond Schmitt Architects. The heart of the building is a highly flexible public forum capable of effortlessly changing configurations using mobile technology and hidden seats to function as a 400-seat theatre, a flat-floor open space, a teaching lab or a community meeting space. The spine integrates community-learning spaces that include an amphitheatre and ‘hanging pods’, which serve as small break-out ‘rooms’ where six to eight people can sit. The space also connects seamlessly to formal learning studios that are transparent and visible to researchers and casual observers alike. By locating outdoor social areas adjacent to the spine, the transition between interior and exterior of the building is blurred; and students, faculty and visitors are encouraged to spill out from the building to gather in the outdoor spaces. Research conducted at the Taylor Institute will transform the integration of teaching practices, learning technologies and optimal designs for learning spaces. 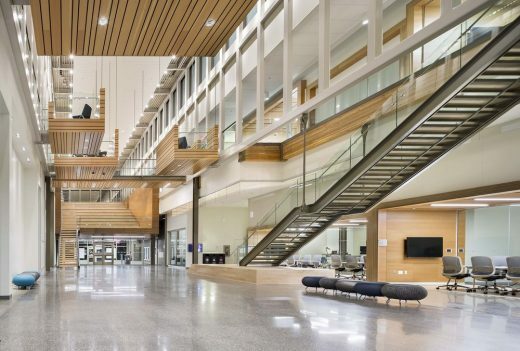 “The Taylor Institute will shine a light on teaching excellence, and serve as a touchstone for improvements across the country and around the world,” said University of Calgary President Elizabeth Cannon. “Transparency, flexibility, and collaboration are at the core of our programs, and this building perfectly supports these concepts,” added Nancy Chick, academic director for the Taylor Institute for Teaching and Learning. 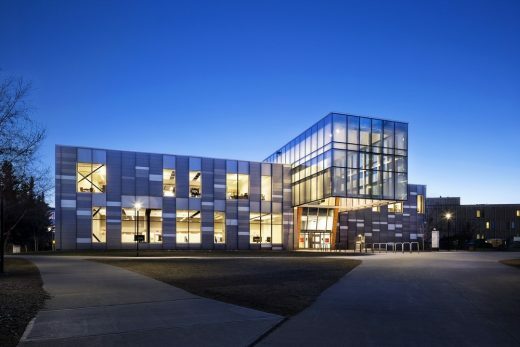 To achieve 71 per cent less energy required than a conventional building of the same size, sustainable design measures include high performance windows, LED lighting controlled by daylight sensors, low-flow water fixtures, a well-insulated roof, radiant heating and cooling, and sourcing energy from the campus district energy plant. 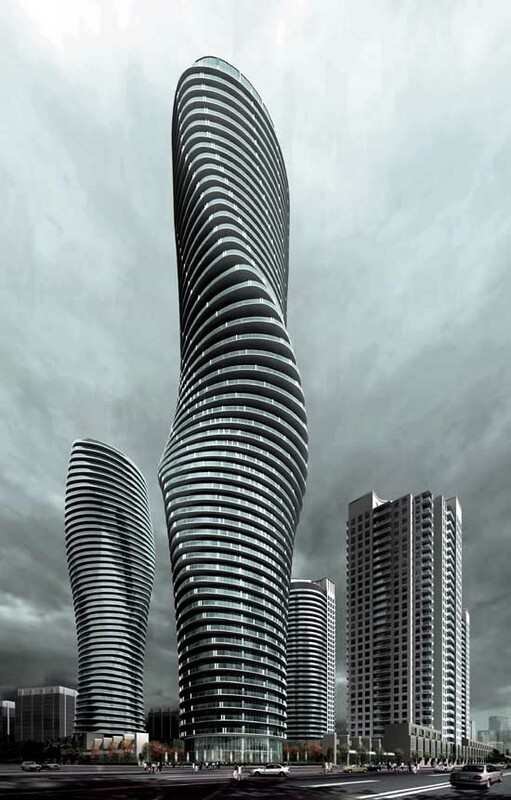 Diamond Schmitt Architects is the design architect and Gibbs Gage the architects of record. Diamond Schmitt Architects (www.dsai.ca) is a leading firm of architects based in Toronto with an international reputation for design excellence and sustainable design solutions. An extensive portfolio includes academic buildings, performing arts centres, libraries, residential and commercial buildings. Equally extensive is work completed for the healthcare sector, with life science facilities, research laboratories and hospitals. 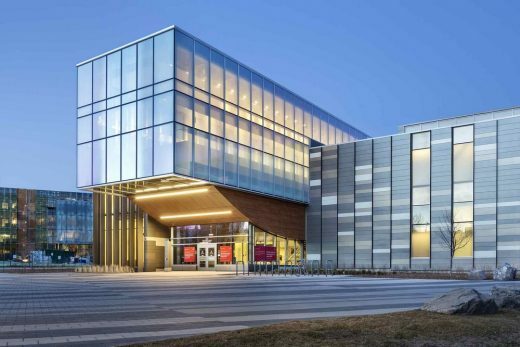 Among current post-secondary projects are the Emily Carr University of Art + Design in Vancouver, the Living and Learning Centre at McMaster University in Hamilton, and Lazaradis Hall at Wilfrid Laurier University in Waterloo.